Tuesday December 25, 2018 ( RBB NEWS) – Westword Conor McCormick-Cavanagh Ayanle Nur might have been in his high school Spanish class on December 3, but his mind was elsewhere. 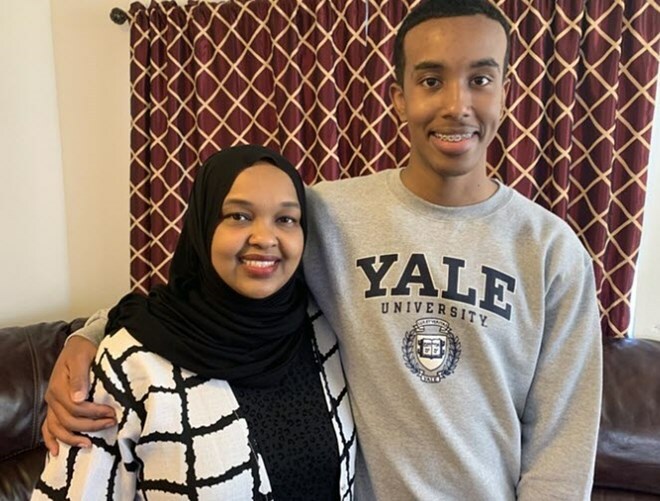 The seventeen-year-old DSST Green Valley Ranch senior and son of Somali refugees was awaiting the most important news of his life: whether he had been accepted to his dream school, Yale University. “I felt anxious the whole day. I was pretty confident, but I also wasn’t sure,” Nur says. Madison Perry, Nur’s math instructor and favorite teacher, popped her head into the classroom to let Nur know that the results had arrived. Nur logged into his computer, then paused. Sensing his nerves, Perry gave him a pep talk. “Look, this doesn’t define you. If you don’t get it, it’s gonna be fine. If you do, it’s gonna be great,” Perry recalls saying. Nur clicked the link, and his eyes found the results almost immediately. “We both started screaming. He was jumping up and down. We were hugging and spinning in circles. I started crying. He was screaming, ‘I can’t believe it! Yale! I can’t believe I got in there! '” Perry recalls. “I don’t even know how to describe it. It was just amazing. I was just so excited,” says Nur. Nur immediately called his mother, Indonesia Maye. She started crying right away and raced over to the school to celebrate with her son, knowing how far she and her family had come to get him to this point. If it wasn’t for her own sacrifices and perseverance, her son might never have had the opportunity to attend college, let alone an Ivy League school. Indonesia Maye was born in Mogadishu, the capital of Somalia, on June 11, 1977. Her family knew all the key players in Somalia, since her father served as the head of the military court in Siad Barre’s dictatorship. “We were high-class and highly educated,” says Maye. Given their high place in society, Maye and her family lived in luxury. “Our kitchen was bigger than this house,” she says, gesturing around the living room of her home in Montbello. Her family’s spacious home in Mogadishu also had plenty of help, employing numerous maids to keep things tidy. But life soon became turbulent. Maye’s father died in 1990, and anti-Barre rebels seized Mogadishu, forcing Barre to flee to Somalia. A civil war ensued, and Somalia has been gripped by violence brought on by government soldiers, foreign armies, peacekeeping forces, rebels and extremists ever since. In 1993, Maye left Somalia to take refuge in Kenya and wound up in Maine in 1999, where she applied for asylum. She married a fellow Somali refugee in 2000, and they had a child on August 9, 2001. They named their baby boy Ayanle, which means “lucky” in Somali. Maye worked as an interpreter in various local schools, but in 2004 she and Nur’s father divorced, and she had to start working multiple jobs to make ends meet. She took a slot as a saleswoman at a department store and moonlighted as a maid. It was a humbling experience: Maye had gone from living in luxury with multiple maids to working as a maid herself. Maye eventually found love again, and this time it stuck. She married another Somali refugee, Abdi Idle, in September 2006, and the family moved to Denver in December that year. Maye’s son, who didn’t start speaking English until he was four, flourished here. Teachers noticed Nur’s knack for learning quickly, and he was soon identified as a gifted student. But Nur stood out among his peers for more than just his academic prowess; in elementary school, he also picked up basketball and fell in love with the sport. While Nur played basketball and blossomed in school, his mother struggled with what was happening to her homeland. In September 2008, she found out that her brother, who was a well-known Somali member of parliament, had been assassinated just after praying at a mosque. The family didn’t face violence in the U.S., but life wasn’t particularly stable, either. Maye and her husband worked long hours to pay their rent on time. Nur bounced around to different elementary schools. In eighth grade, Nur applied to DSST Green Valley Ranch and DSST Stapleton. Finally he seemed destined for academic stability. But he didn’t get a spot in either school. Instead, he ended up enrolling in the first cohort at the brand-new KIPP Northeast Denver Leadership Academy. Again, he thrived, never getting less than an A. According to Nur, the leadership at KIPP wanted him to stay, but he was focused on going to a DSST branch. He applied again during his freshman year and landed at DSST Green Valley Ranch. During ninth grade, Nur also discovered that his grandmother, whom he had visited in Somalia when he was younger, had been diagnosed with Alzheimer’s. Not long after, Nur attended a summer academic program at the University of Colorado Denver. Motivated to find a solution to his grandmother’s ailment, Nur studied health-care policy at CU Denver that summer. It was also around this time that he realized he wanted to become a doctor someday so that he could eventually help people like his grandmother. When Nur began at DSST, he took all the advanced placement courses the school had to offer and became the family’s morning alarm clock, getting up at six every day to wake his mother, father and siblings. “Yeah, I’m gifted, but I’m also so determined. My parents fled civil war for me to just be safe and have a chance,” he says. Early on in his sophomore year, CU Denver sent Nur an acceptance letter for its undergraduate program. Nur hadn’t even applied, and CU Denver still wanted him anyway, seeing his potential during the summer he’d spent there. Later in his sophomore year, Nur applied for an internship at Children’s Hospital Colorado and got in for the following year. 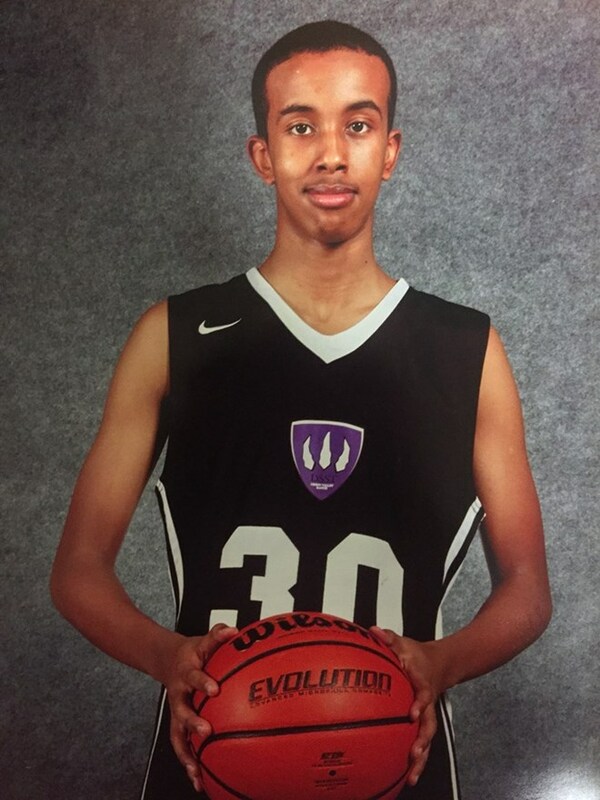 Between the internship, studying and varsity basketball practice five days a week, Nur had very little free time, even on the weekends; his internship sent him to the radiology department at Children’s Hospital on Saturdays. Whenever he could find time in his busy schedule, he prepared for the SATs. Although school came easy to Nur, the SATs were a struggle. Used to earning top grades across the board, he expected to do well when he took the SATs for the first time in April 2018. He got back his scores in May and his teacher, Perry, recalls the moment when he saw them. “The second he saw his score, he was incredibly disappointed. He wasn’t replying to texts. He was incredibly defeated,” says Perry. But Nur didn’t let that failure stop him. Instead, he signed up for the June SATs and reinvested himself in test prep. It paid off; he got a 1420 out of 1600. He only missed one question in the math section. With that failure turned into a success, Nur then set off to finally achieve the dream he had since he was little: to go to an Ivy League university. Not only did Nur get into Yale, but he got a full-ride scholarship. Nur says that he plans to get on the pre-med track at Yale. “I’ve always wanted to help people. Getting into Yale is my first step in realizing the American dream,” he says. But his fellow DSST Green Valley Ranch seniors see another future for Nur: They voted him most likely to become president. kJdCAo Thanks-a-mundo for the blog post.Thanks Again. Fantastic.